Introducing the All-New Omega B2400 Blender. 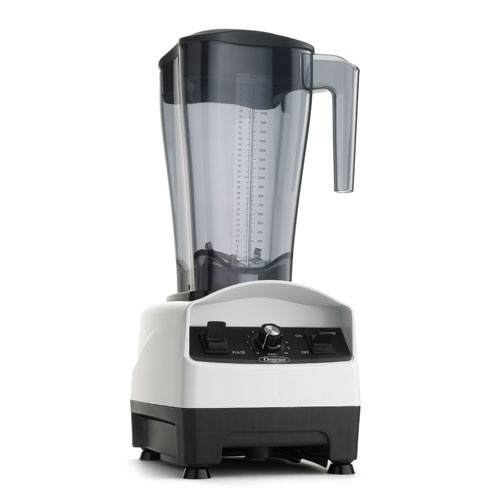 Omega designed and built the B2400 high performance 2 horsepower blender to out perform the competition. The container is uniquely designed to create maximum blending capability and consistent product quality. A wide variety of products can be made with ease with just the touch of a button. Soups, salsas, iced drinks, vegetable and fruit smoothies, in seconds. Of course - it's an Omega! A simple and intuitive variable speed control knob allows for infinite and complete control of the Omega B2400. A simple-to-use pulse button let's you easily pulse your salsas to that perfect consistency. 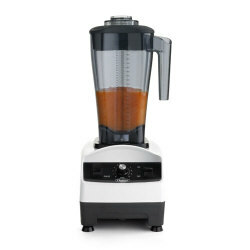 The B2400 motor base houses a rugged 2 horse power motor that is strong enough to blend the most demanding blended drinks, soups, smoothies, salsas and more. The main differences between the models are the user controls. 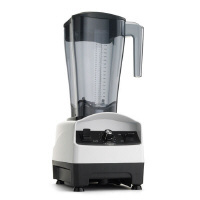 All the blenders contain the same, powerful 2hp motor. The picture below shows the control panel of the B2400. Versatile: The powerful 2 horse power motor lets you blend virtually anything that you may need. From salsas, fruits, soups and even ice for great frozen drinks, you can do it all in the Omega B2400 blender.